This morning I took an online quiz, you know, like one of those that guesses anything from your age or job to what is your favorite flavor of ice cream. Sometimes it’s scary how accurate they are, but sometimes they get it totally wrong like the one I took this weekend that according to my answers said I am 15 years old. Either I’m really immature or that quiz was totally wrong. 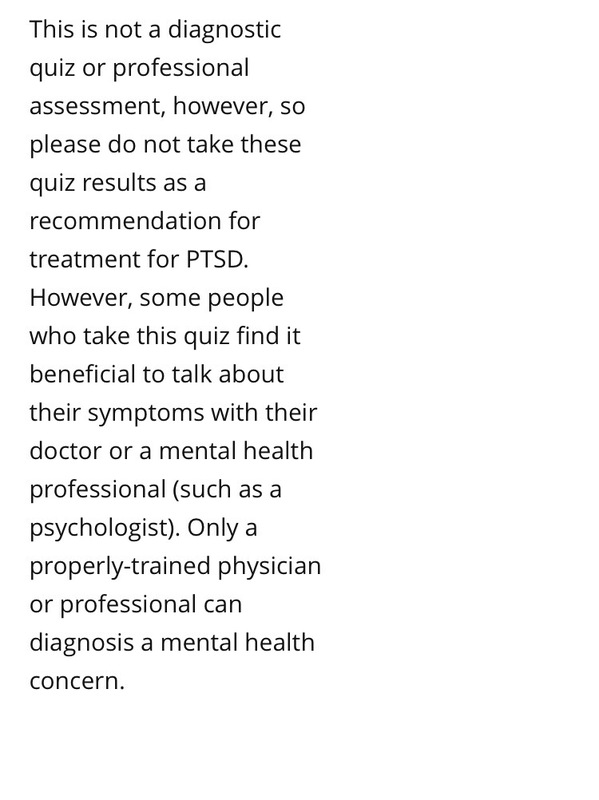 Last I found a quiz that would tell me if I need to get help for Post Traumatic Stress Disorder. I have wondered a few times if I have PTSD but I have been seeing a psychiatrist for four years and take a small dosage of Ritalin and Zoloft, which I just learned treats PTSD. I was prescribed Zoloft because of my bad mood, anger and impatience after the TBI, but I thought that was it, I never thought about PTSD had anything to do with it because I don’t remember the accident. 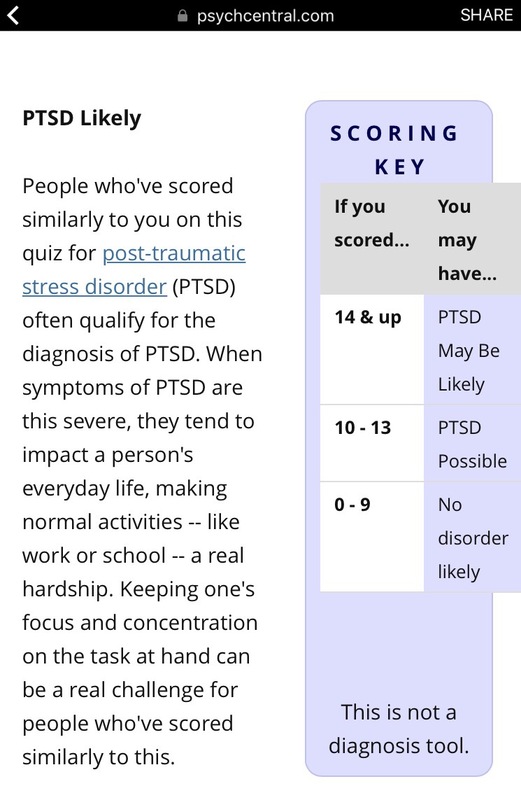 I’m not saying I have it, only my psychiatrist can, but according to that quiz I took yesterday, it is very likely that I do. 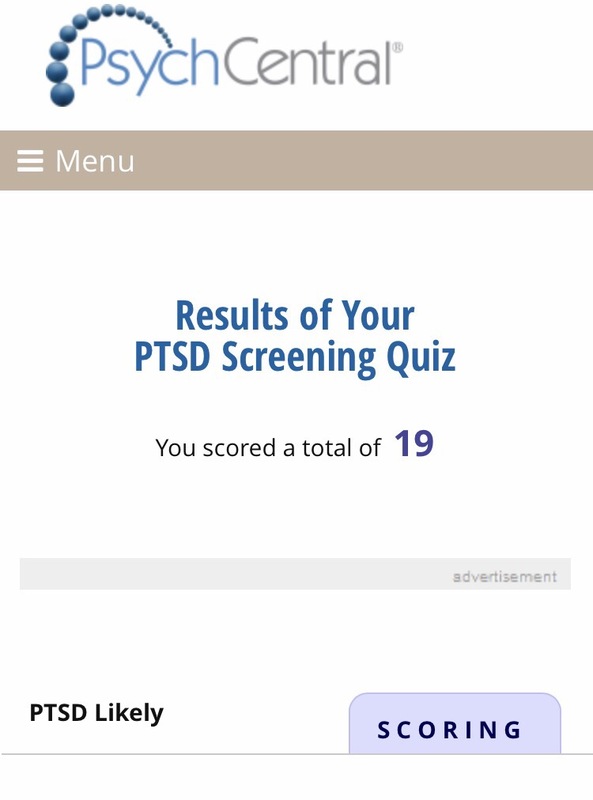 The scoring key said that if you got over 14 you are likely to have PTSD; I scored 19. I want to ask my psychiatrist about this because, even though it doesn’t change anything about the TBI, it can help me understand all of my feelings about it and maybe even deal with it a little bit better. Reading that the combination of both exist started to answer some of my questions but this combination also makes the recovery more complicated for both the patient and her/his family, friends and caretakers. I know this is true, not only from my experience but from other people I have met and read about, especially veterans.